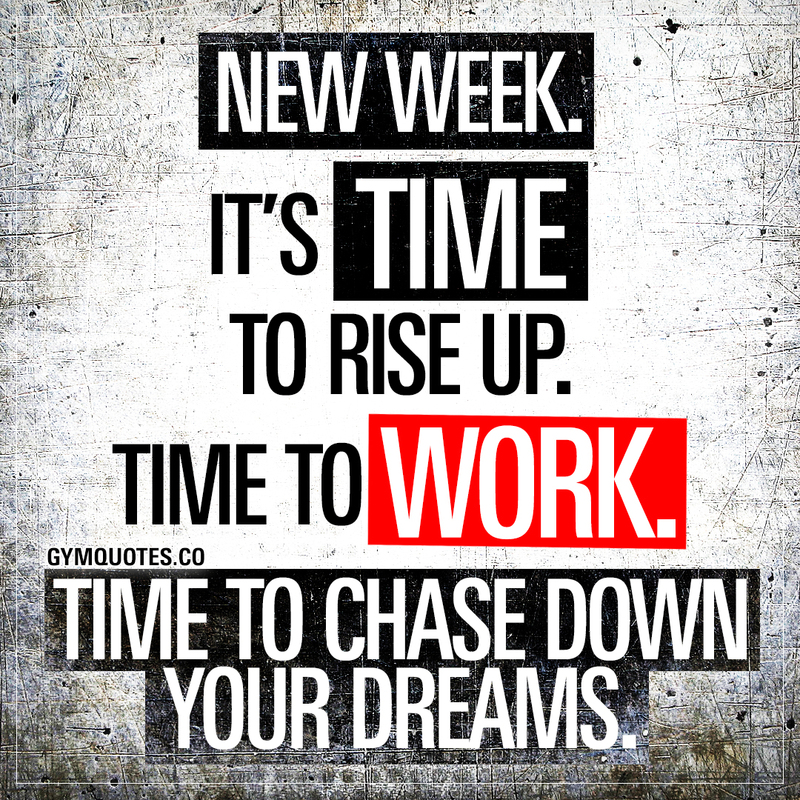 Monday Gym Motivation quote: New week. It's time to rise up. New week means the grind continues. Time to rise up and it’s time to work hard. Your dreams are waiting for you. This week, and every single week after it: work. Hard. And chase down your goals and dreams!